Three Texas churches damaged in Hurricane Harvey are suing the Federal Emergency Management Agency, saying they should be eligible for disaster relief money even though they are religious institutions typically denied such funds. 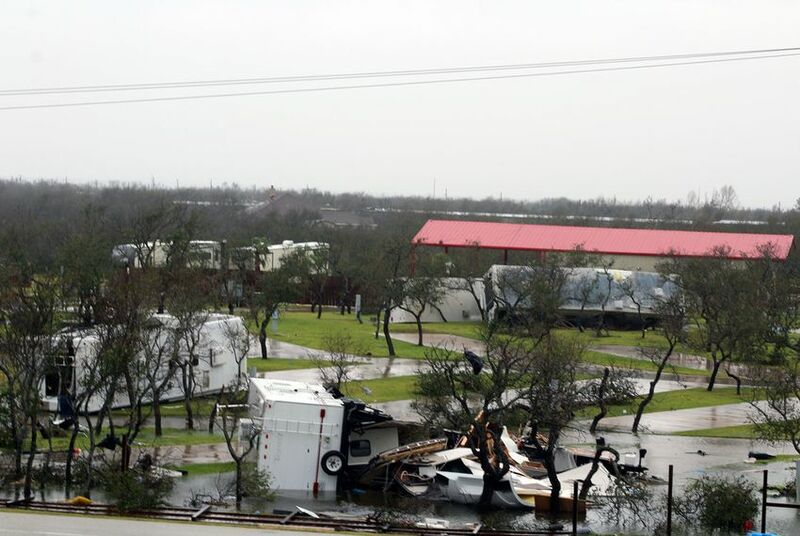 The Harvest Family Church, the Hi-Way Tabernacle and the Rockport First Assembly of God were all damaged during Harvey, according to a lawsuit filed Monday in U.S. District Court for Texas’s Southern District. The First Assembly of God lost its steeple, roof, and church van, while the other two churches were severely flooded. In addition, the Hi-Way Tabernacle serves as a FEMA staging center, sheltering up to 70 people and distributing more than 8,000 emergency meals. Yet the churches will not be eligible for recovery money from FEMA, which “categorically excludes houses of worship from equal access to disaster relief grants because of their religious status,” according to the lawsuit, which asks the court to declare FEMA’s church exclusion policy unconstitutional and seeks an emergency injunction preventing its enforcement. FEMA excludes buildings that provide “critical service” or “essential government services” from repair if more than half their space is used for religious programming, the suit said. Museums and zoos are eligible for relief, but churches are not. “If the Churches were to cease all religious activity in their houses of worship, those buildings would become assistance-eligible,” the lawsuit read. A spokesperson for FEMA declined to comment on pending litigation. The lawsuit comes three months after the Supreme Court decided a church in Missouri could get government money to resurface its playground — a major religious liberty decision that has set the stage for similar cases, experts say. Diana Verm of Becket, a nonprofit Washington law firm that seeks to defend religious liberty, said the churches sued FEMA partly because of the Trinity case. “This is a time of crisis in Houston,” she said. “Churches are some of the helpers, doing everything they can to get back on their feet. Yet they are denied the same relief other nonprofits are getting from FEMA." When FEMA provides money to communities stricken by natural disaster, not everyone can get it. For example, community centers “operated by a religious institution that provides secular activities” are eligible, according to the agency’s policy guide, but other religious institutions may not qualify. Alex Luchenitser, the associate legal director for Americans United for Separation of Church and State, another nonprofit based in D.C., said the Trinity decision was not applicable to the church litigation. That decision allowed a church to get funding for a non-religious function, he said; the Texas churches are seeking money for “core facility” repair. FEMA funds have been used to reimburse churches before. When money went to churches after Hurricane Katrina in 2005, officials said the decision was unprecedented, and some — including some of the faithful — questioned whether the funding was appropriate. Founded more than 15 years ago, the 300-member Hi-Way Tabernacle in Cleveland worked with FEMA during Hurricanes Rita and Ike, the lawsuit said, and turned its gym into “a warehouse for the county” during Harvey. The church’s pastor said the Hi-Way would do the work anyway, but would like some help.